Fabric blinds can completely transform the appearance of a room. They can create a modern or traditional vibe and complete the overall appearance of your home décor. Fabric blinds have a rich history. They have stood the test of time, evolving with our needs and current trends. Fabric blinds are still the most popular window treatments used today. Fabric blinds and shades have been around thousands of years. Of course, they look vastly different today than their ancient predecessors. Fabric was once used in ancient Egypt to cover windows and doors of huts as a form of crude air conditioning. The wind blew over strips of wet fabric providing relief in the intense desert heat. Over time window shades developed into multiple designs. Window shades were once painted in extravagant and romantic art in the early nineteenth century. Later decorative borders and stencil designs decorated the fabric blinds in American homes. Today, the most popular type of fabric window blinds is custom roman shades. 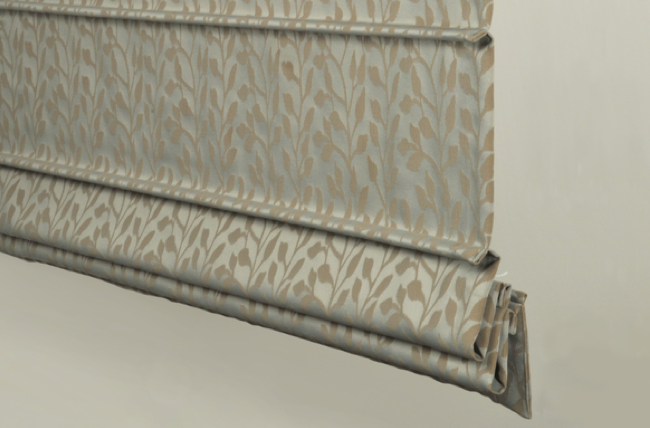 There are so many styles of roman shades and types of fabrics available. It all depends on your decorating style. Fabric blinds have evolved over the years. Blinds and shades can look modern, classic or traditional. No matter what your home décor needs, you can’t go wrong with a splendid fabric window shade or blind. Furniture – chairs, sofas, and window seats. Clothing – keep us warm and protect us from the sun. Privacy – show curtains and draperies. Light manipulation – lamp shades, photographers’ light boxes, and filters. Covering your windows with a decadent fabric may not be a new concept, but it is still appropriate and desirable today. The reason people still decorate their windows with fabric blinds is because they are so versatile and beautiful. United Decorators specializes in decorating homes with fabric slipcovers, furniture upholstery, drapery, bedding, and headboards as well as Hunter Douglas window treatments. A superb way to decorate your home with furniture, accents and Hunter Douglas window fashions is with complementary fabric textures and colors. All the colors, embroidery, patterns, trims and decorative tapes can be carefully selected to create the ambiance that your desire. Fabric can create a sense of warmth and comfort, or make a room seem spacious and modern. The design specialists at United Decorators will work with you to discern your needs and transform your home or office. Many Hunter Douglas window fashions are constructed with fabric. 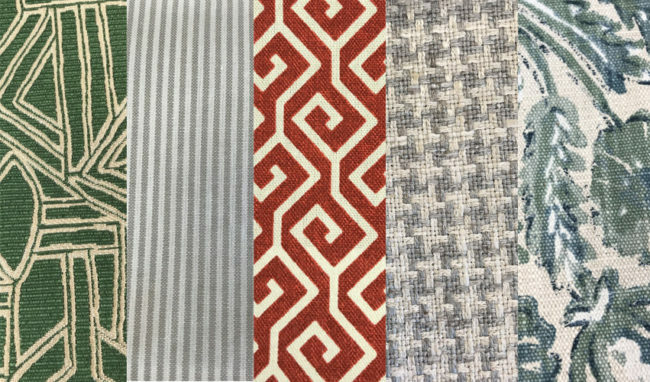 Fabrics are carefully designed to hold the beautiful shapes of window treatments. They also need to be exceptionally functional and stunning in both color and texture. Window treatments are crafted to be durable and perform a purpose, such as window insulation, room darkening or filtering light. Flat roman shades or roman shades with folds are designed to be the perfect backdrop to your home décor and lifestyle. 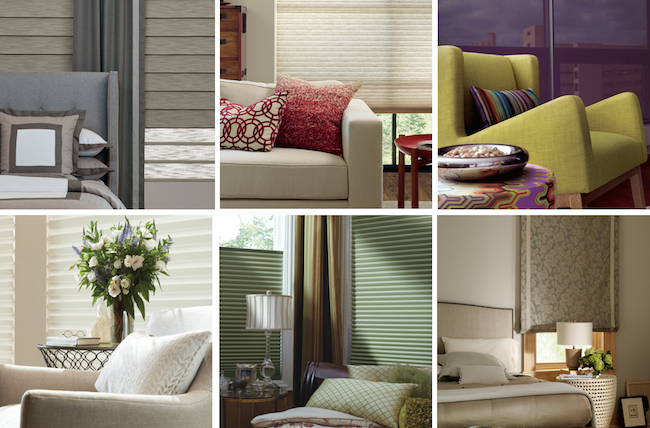 Which Hunter Douglas fabric blinds suit your home décor and needs? Hunter Douglas Vignette® Modern Roman Shades have a clean appearance with no exposed rear cords. Select from a full or flat fold, and rolling or stacking styles. They are available in hundreds of colors with fabrics such as silk, linen and cotton blends. Light filtering fabrics and room darkening fabrics can be combined in a single shade with the Duolite® option. Hunter Douglas Duolite® is available on many different window shades to provide you with total light control throughout your home. 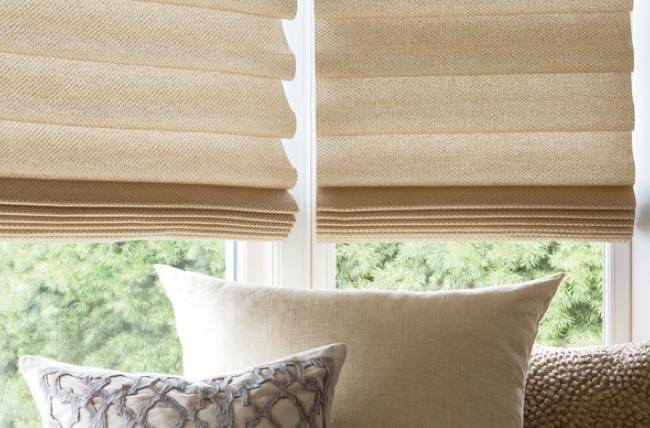 For a more traditional style, look no further than Hunter Douglas Design Studio™ Roman Shades. Available in over 250 fabrics and four beautiful styles, including Batten Front, Batten Back, Hobble and Flat. Add embellishments such as tapes, trims, and linings to add an extra personal flare to the design. There are endless possibilities for decorating your home when coordinating your traditional fabric blinds with your home furnishings. United Decorators has experienced upholsterers and seamstresses on staff to create the fabric blinds, custom window drapes and furniture coverings for your home. 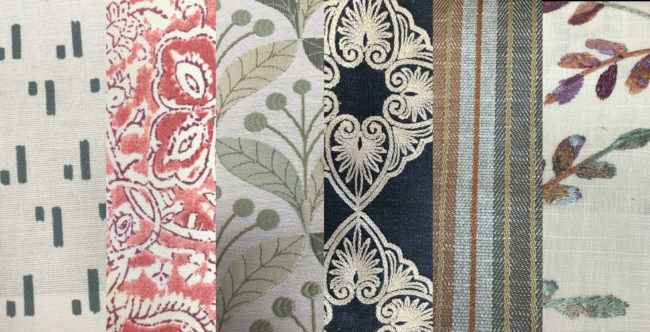 If you are looking for more inspiration on different types of fabric window fashions for your home, take a look at Décor Mag’s “Inspiring Window Treatments Ideas For Your Home For 2019”. Have home décor fabric needs? Contact United Decorators serving Brooklyn, New York City, New Jersey and Staten Island. Schedule a free in-home interior design and window fashions consultation today.